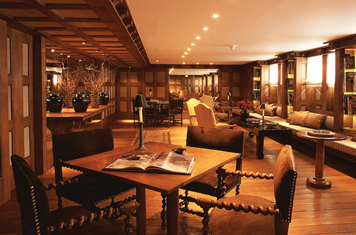 When you think of Aman Resorts, the first think that comes to mind isn't the little-known Le Mezelin in Courchevel. 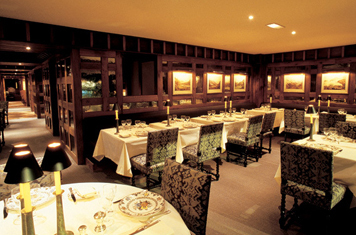 Not a new property, Le Mélézin's dates back to 1956 when it opened as Le Savoy. After a substantial overhaul, the resort was modified into a 5-star resort by Aman Resorts with decadent spa and lavish lobby. The location is spectacular, directly on the Bellecôte piste that offers ski-in/ski-out access to "3-Vallees." 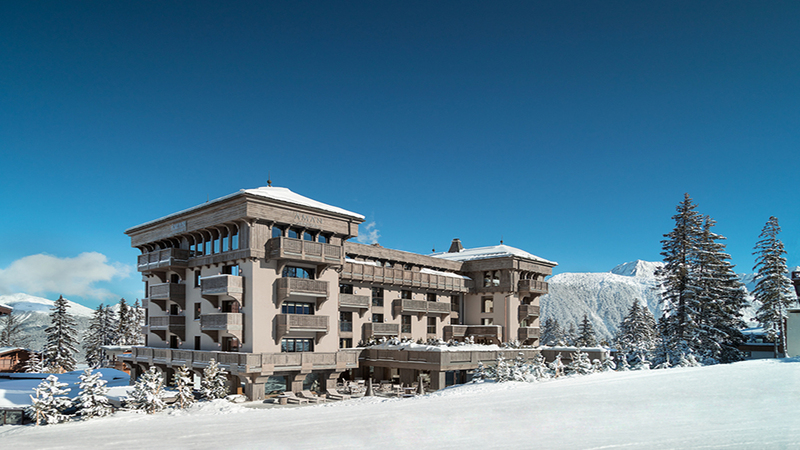 Guests arrive to a four-storey, slate-roof building with subdued Alpine façade intersected by numerous terraces and balconies yet free of those Alpine artisan-reliefs. The lobby is lined in distressed parquet flooring with heavy use of wood paneling interrupted by vintage black-and-white photography. 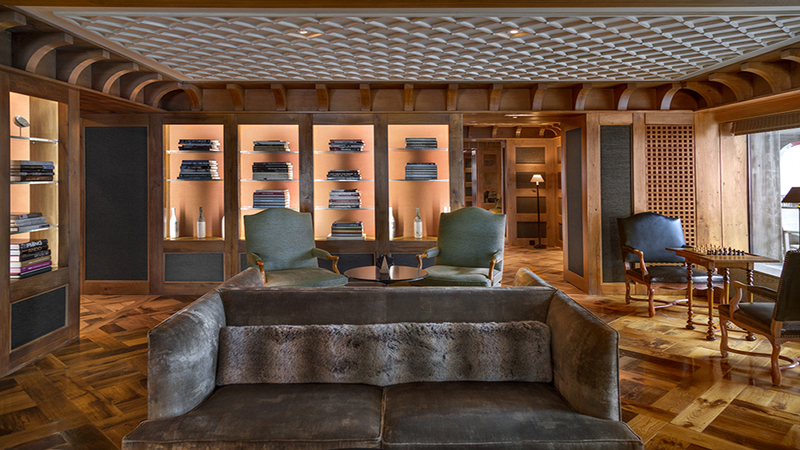 The lobby connects to an in-house bar popular with hotel guests for après-ski, old oak beam sand bronze sculptures of eccentric French wildlife. 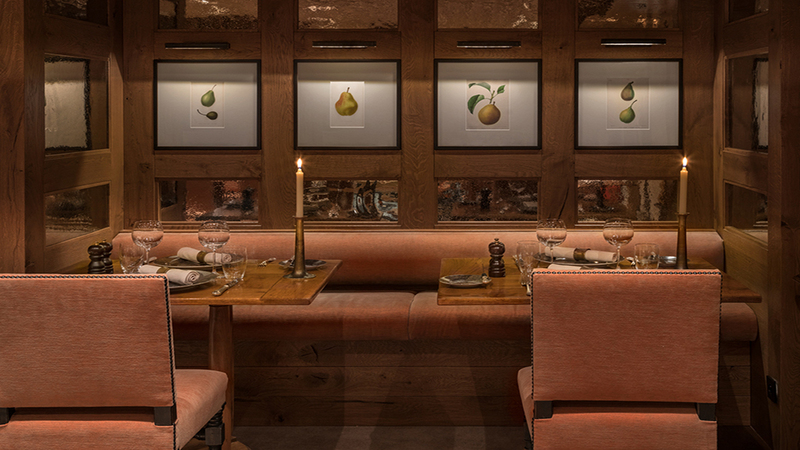 Nearby, the in-house restaurant offers traditional French cuisine as well as an authentic Thai menu in an elegant manor-house setting amidst old oak beams and original frescoes. 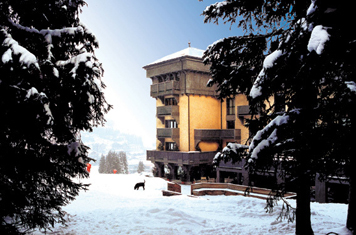 The best part of Le Mezelin would be its proximity to the slopes, set directly on the mountain and yet just 200-meters from the shopping and food treasures of the Courchevel 1850-village. You’ll want to book in for high season, which runs from mid-December to mid-March, although locals continually rave of all the summertime activities. 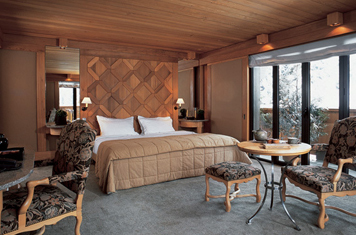 A total of 31-guest rooms are cocooned in red cedar-plank walls and ceiling with linen-carpeted floors and narrow windows overlooking the mountainside. 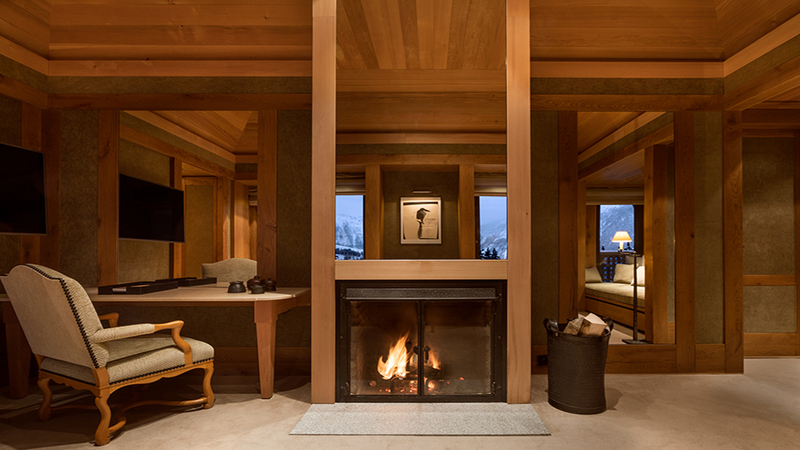 Reconfigured from its days as a ‘50s ski lodge, rooms flow from large living areas with two-person sofas and small writing desk to large bedrooms with King-size beds. 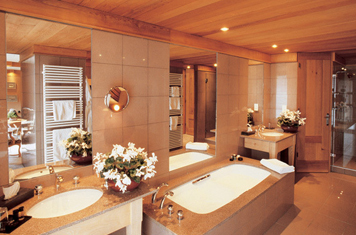 Bathrooms are accessed through private dressing areas that are only private if not sharing the room with a friend or young child. Bathrooms are lined in rose-colored granite that feels a bit dated, but with deep soaking tubs and rain showers we’ve come to expect of Aman even when in Bhutan or Cambodia. 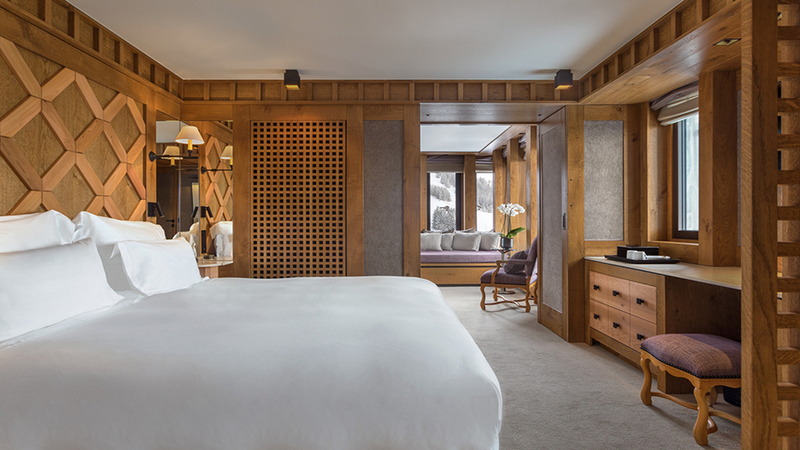 Only 24 rooms offer outdoor terrace or balcony, which is really too cold to use in winter if but for a quick feel of weather conditions or yell down to the ski concierge. 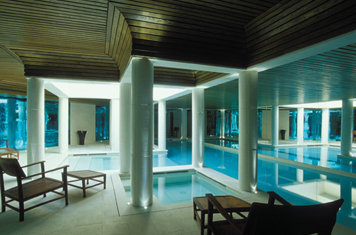 The hotel is home to a beloved spa as well as a large fitness center with steam room and pool overlooking the Trois Vallées where hopefully you’ll be spending most of your time.